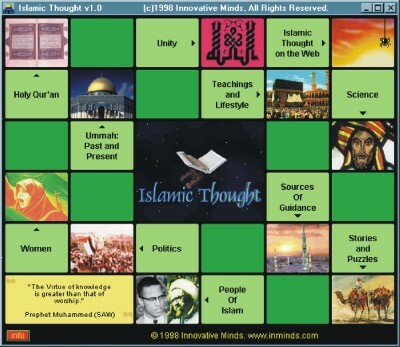 Over 100 subject areas covered by nearly 450 articles, illuminated by over 350 images, from the spiritual, the social, and the political spheres that together make up Islam. 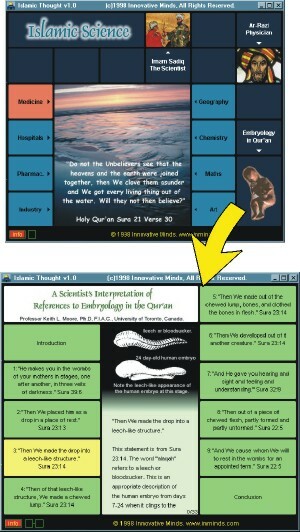 Includes translation of the Holy Qur'an with quick search, and is fully internet enabled - links to our site to reveal the latest. 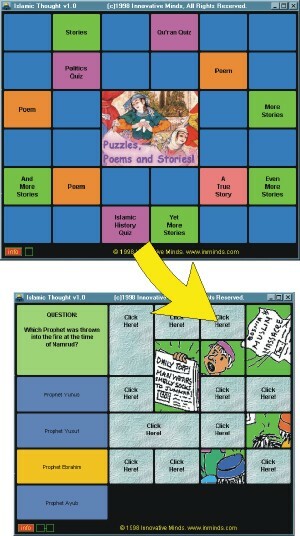 Over 65 stories and puzzles for children. Makes a great gift, ideal for the whole family. No complicated installation procedures - just insert CD into drive, it autoruns from CD, there is no installation! Min. Requirements: Windows 95, 16Mb RAM, CDROM drive, Sound card. from Lady Fatima Zahra(as) to the women of Bosnia. The Position and Rights of women in Islam. 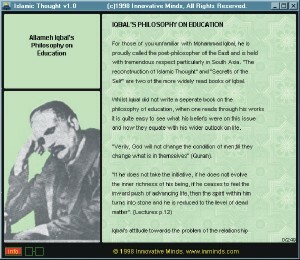 Try out Islamic Thought Sampler to give you an idea of what the CD-ROM is all about. That the Sampler is web-based so its very slow, the CD is a standard win95 application so it runs fast. The Sampler contains only a few articles, the CD has nearly 450. The Sampler is very old, a lot more features have been added and bugs and rough edges fixed since then!